Naples: Napoli's Polish international striker Arkadiusz Milik has been ruled out for at least four months after undergoing knee surgery on Monday, the Serie A leaders confirmed. 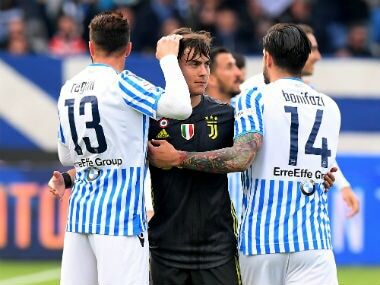 The 23-year-old tore knee ligaments for the second time in a year during the closing stages of Saturday's 3-2 win at SPAL, where Maurizio Sarri's men extended their 100 percent start in Serie A. 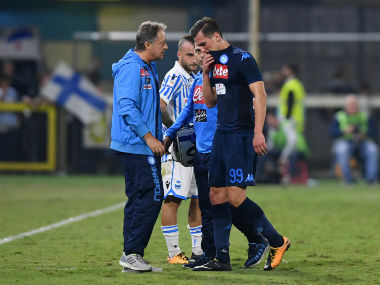 "Professor Mariani completed his surgery on Arek Milik's right knee," read a statement on Napoli's official website. 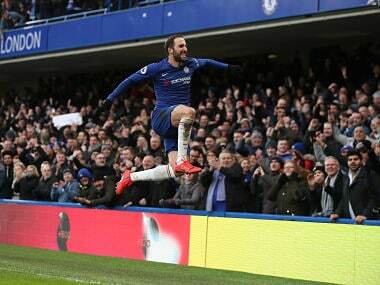 "It wasn't an isolated injury but a complex one, and the surgery was perfectly successful. 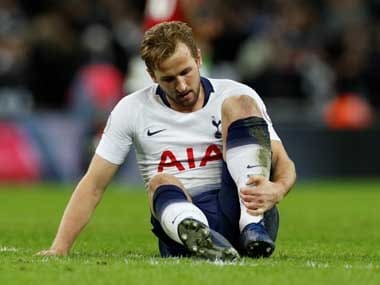 "His knee has been strengthened and the Azzurri striker has a recovery time similar to that of his previous injury." Milik was sidelined for four months last season after tearing anterior cruciate ligaments.